One of the thornier questions that comes up with copyright law on the Web deals with news aggregation. Recently, Harvard’s Nieman Journalism Lab posted a paper by Kimberly Isbell, who is a Fellow at the Berkman Center for Internet and Society, entitled “The Rise of the News Aggregator: Legal Implications and Best Practices“. The full paper, with footnotes, is available for free download from SSRN. The paper avoids the “politics” of copyright and instead focuses on the legal climate surrounding news aggregation. This includes an overview of the different types of aggregators, breaking them down into four types, feed, specialty, user-curated and blog and then looking at the legal climate and how it pertains to each type. 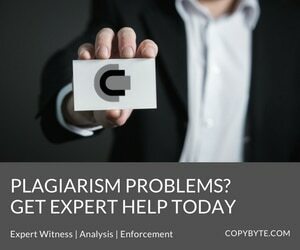 This includes looking at relevant case law, an overview of the copyright questions aggregations raises, including a thorough fair use examination, and even a look at the “hot news” doctrine and how it applies. The conclusions are pretty scant. The paper admits that there are few legal certainties in this area and that all the relevant law is very fact-specific making it difficult to look at past cases and apply them to the current situation. In short, the paper doesn’t and can’t hazard a guess about the legality of aggregation though it does lay down five “best practices” for aggregators to follow to minimize their risk. All in all, the paper highlights the ways that the technology of the Web and common practices on it have gotten ahead of both the written law and case law in this area, creating a great deal of uncertainty for all involved. While the paper does a great job in covering the legal climate both thoroughly and in a balanced way, it is safe to say that the conclusions are nothing ground breaking or even particularly helpful. Granted, it’s the only conclusion the paper could have reached and remained honest, but it is going to disappoint those who were looking for more solid answers. That being said, the paper also had a few omissions and one was the role DMCA Safe Harbors play in user-curated aggregation, which is done on social news sites such as Digg and Reddit. Since the content from sites are completely user-directed, the safe harbor provisions clearly play a key role in their legal status and it wasn’t touched on in the paper. Another missing conversation was the issue of implied license and Web contentywcqrxbwcacatuxzdf, especially as it applies to RSS feeds. One could argue, and in at least one lawsuit is, that news organizations, by posting their content online, are offering an implied license for this kind of use of their content, making the other copyright questions moot. Finally, the paper lacked a discussion about private aggregators, such as Google Reader, that are for private use and are created by using the feeds from multiple sites but are curated by a single user for themselves or a small group of friends. Clearly, the legal implications of these sites are different from public aggregators, such as Google News, but the paper didn’t talk about them at all. Still, the balance of the article is good and the conclusions are sound and the majority of the important issues were covered in a very clear, succinct way. If you are interested in running an aggregator or are even just doing some aggregation on your site, as I do with my 3 Count column, this is definitely a paper you want to read. If you’re interested in aggregation issues, you need to read Isbell’s piece. It is balanced, well-written and thorough. Though it doesn’t cover some very critical questions on the topic, it does a great job covering the issue and offers the best advice and conclusions possible. In short, I have no doubt myself and others will be referencing this work for quite some time. Note: The Rise of the News Aggregator is written by Kimberly Isbell and is licensed under a Creative Commons Attribution 3.0 Unported license.